Now to a scandal that is rocking the supreme court in West Virginia. Republican lawmakers in the house voting to impeach every justice, accusing them of wasteful spending. Democrats calling it all a employ. ABC’s David Kerley is here and has that story. Good morning, David. Reporter: This is an extraordinary move. One branch of government in essence trying to fire most of another branch of government. 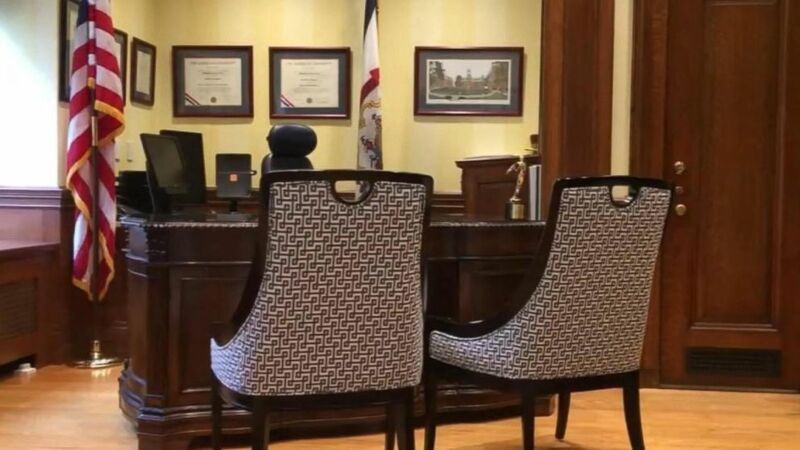 West Virginia lawmakers impeaching all the sitting supreme court justices. This morning, a state supreme court stunner. The fallout began. Articles of impeachment. Accused of using your tax player dollars. Reporter: The West Virginia house of representatives voting to impeach all four sitting supreme court justices. Back home the people have been telling me they can’t believe what the sreme court has done. Reporter: The reason the house says is largely egregious spending, including $32,000 on this sectional couch for one justice, another’s modern glass and stainless steel office renovation costing a half million dollars, including this chair coming in at 8 grand according to the articles of impeachment. It’s probably a lot for a chair but I have athletes in my spine and it allows me to sit here for hours on end. First tonight we have an exclusive investigation. Reporter: Our ABC affiliate WCHS broke the story last fall. The remodel, according to their report, ballooning from less than $1 million to more than $3.7 million, including this custom map of the state which they say costs $7500. This in one of the poorest states in the country where household income is about 25% below the national average. And just hours ago, one of those justices, the one with the $8,000 chair saying this is a political move by Republicans and she resigned. The will of the people of West Virginia is being denied. Reporter: So there are now just three members on the supreme court and they will now go to the senate for an impeachment trial to see whether or not they keep their office or leave office, but their offices have been renovated. They have been renovated at huge expense to the taxpayer. That’s going to cause a lot of tension.